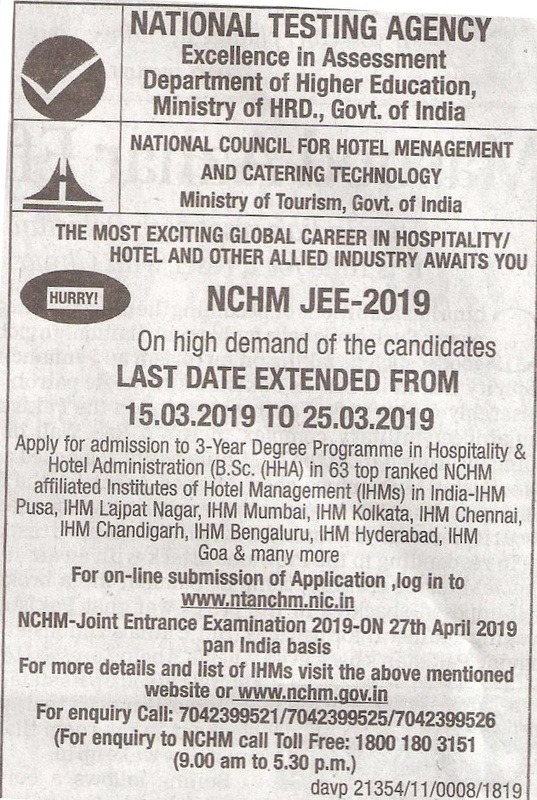 Joint Entrance Examination-2018 | Institute of Hotel Management, Catering Technology & Applied Nutrition. This is to inform that NCHMCT has notified in leading newspapers on 15.12.2017 about conduct of Joint Entrance Examination-2018. The on-line application has since been opened w.e.f. 15.12.2017 at http://applyadmission.net/nchmjee2018. The applicant can apply online only till 16.04.2018. You all are requested to give wide publicity of the program in your state/ town. NCHMCT shall send Application Form and Information Brochure of JEE-2018 in due course.